Gail was a stay-at-home mom back in the fifties when that was the norm. 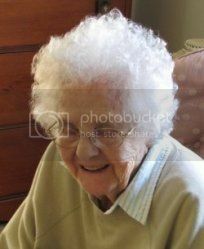 Her husband, Clyde, worked long hours and wasn’t as involved in raising the six children. Again, that was the norm back then. Here’s a tribute that was written awhile back by their daughter, Virginia for her father shortly before his 84th birthday. “My dad worked many years at grueling jobs making a living and supporting a family of six children. It wasn’t an easy life, but he persevered. The six of us grew up solid citizens who didn’t use drugs and applied ourselves successfully to our chosen endeavors. Do it yourself and save money. Dad could fix a car engine, milk a cow, skin a catfish, fix a frozen pipe under the house, assemble a bicycle from a mixture of parts, and hundreds of other skills. To this day, I look first at how can I do something myself before considering having someone else do it. Work hard to get ahead. Dad rose through the ranks in oilfield work. From roughneck to driller to rig pusher to derrick man to pumper then finally production superintendent, he applied himself and moved ahead of those who just put in their time. His children learned to put their all into any job they had. Clyde Martin with his daughter, Virginia. An education will pay for itself. Dad often talked proudly of his youngest brother who applied himself in school and won a full scholarship to MIT. It was easy to see the comparison between his brother flying to California for computer troubleshooting and his own physically wearing and lower-paying job. I especially appreciate this message that resulted in my getting a master’s degree and a career as a librarian. If you do something, do it well. Dad mastered many jobs and life skills. In retirement, he raised bumper crops in his garden and sold it at the farmer’s market. He taught himself to make bread and built a following of loyal customers. His children’s interests included building hot rod cars, bowling, performing, golfing, conducting pageants, writing, and dozens of other activities. In each case, they perfected their interest to a high level. Thanks, Dad, for instilling this principle in us. Use it up, wear it out, make it do or do without. Growing up during the depression, he learned a frugality that he never dropped, even in more prosperous times. Coffee grounds and vegetable parings recycled through the compost bin brought new life to his garden patch. I see myself practicing many daily economies that are throwbacks to such depression era lessons. When you start something, stick with it. My father wouldn’t quit once he started something. Over sixty years of marriage is a testament to that. When his children tackled something, Dad’s example of persistence spurs us to keep going to complete the job. This was previously posted on the Our Echo website. Our guest blogger today is Les Paugh Sr. who was married to Gail’s cousin, Treva. Here he tells about working with Gail’s husband Clyde in the El Dorado oil field. “Hi Virginia: You got me started, here’s another story. When I first talked to Clyde about the job I told him I didn’t know one end of a drilling rig from the other. He asked me I could learn, couldn’t I. I told him I had learned how to do a lot of other jobs. He hired me on the spot for the Red Drilling Company. It was November 1957. My first night on the job after he introduced me to the other roughneck and the derrick man, he said, “you ready to take a trip”. I thought to myself, Hey this is going to be great, just starting and get to take a trip. We went out on the deck and they showed me what to do. The previous crew had pulled the drill stem out and had put on a new drill bit. We took a trip alright, put 3000 foot of drill stem back in the hole. When we got done, Clyde asked me “how did you like the trip?” I told him if it was ok with him I would take the train next time. They all thought that was a good answer. So I got along good from then on. About a week later Clyde asked me if I would like to work in the derrick, I told him I wanted to learn as much as I could. the derrick man showed me what to do. About 60 foot in the air and they had a tarp wind break around the platform. Wasn’t too bad, they took it slow so I could catch on to what to do, then sped it up. I did ok.
We moved the rig and the weather was a little warmer so the derrick man didn’t put the tarp up around the platform. Clyde sent me up in the derrick again, only this time I could see for miles around and it looked a lot different. It didn’t take to long for me to realize that wasn’t my cup of tea up there. I was ok till I seen how high up I was. “The winter of 58 I was working on an oil drilling rig with Clyde Martin, the driller, as a roughneck. Money got tight and the owner of the rig shut it down. Just before Thanksgiving, after the 1st of the year, I found a job in a quarry driving a dump truck. My job was to haul loads of rock up this big hill and dump the load into a chute. My first load I got to the top, the area wasn’t much bigger than the truck. I came back off the hill, the foreman was waiting for me. I told him he had forgotten to tell me how the devil to turn around at the top. He jumped in the truck got to the top and cut it to the left as hard and fast as he could, then in reverse, dumped the load. On my next load, he was at the bottom of the hill waiting. I went up, dumped the load and when I came down, he had gone inside of his office, so I thought oh boy I passed that test. A couple days later the loader operator was loading some state trucks, the powder monkeys were working up on a rock ledge setting up charges using electric caps. I had used dynamite, but with the regular fuse and caps. I jumped up on the ledge to see how they were setting the charges. The loader operator had dumped a load of rock into my truck, truck jumped out of gear rolled down and hit a rock, bent the bumper back against the tire. Loader operator had no chain to pull the bumper back. so I went up to the tool shed to get a chain. 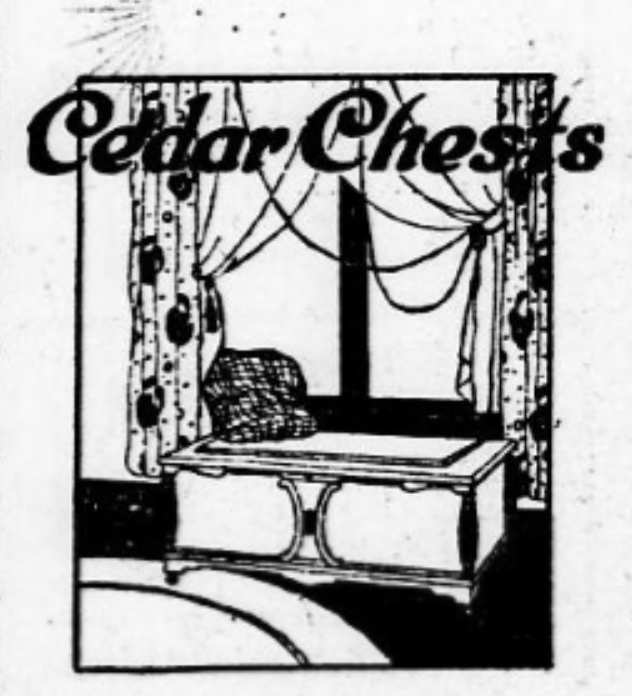 I remember that we always had a cedar chest. Sometimes it was in my parents’ bedroom, sometimes in the dining room, but it was always there. Although I was a little vague on its history, I knew that either Grandpa made it for my mother, Gail, or it was one that Dad made in high school shop class. It was special to lift that lid and smell the scent of the unvarnished interior. Inside were family quilts and Mom’s treasured pineapple patterned crocheted tablecloth. The old cedar chest made by Clyde Martin in high school. When the grandkids started graduating from high school, my dad, Clyde Martin wanted to give each one a cedar chest. His mother made each grandchild a quilt and a rag rug when they married. The cedar chests were his way of carrying on the family tradition. Dad and Mom scouted the yard sales in the El Dorado area to find vintage cedar chests. Sometimes the old wood was battered and scarred. He would work some magic on the distressed chests and present them to the graduate. In one of Mom’s notebooks, I found her somewhat incomplete record of the project. Karen Friend’s Univ. graduation. made by Clyde in 1940. The one Daddy made for me. A nice handmade @ 1940? small, on legs bought 4-17-99. One with old, rounded edges, possible an older Lane, Lane key fits. One extra large home-built cedar with no feet. One commercially veneered, stored at Karen.